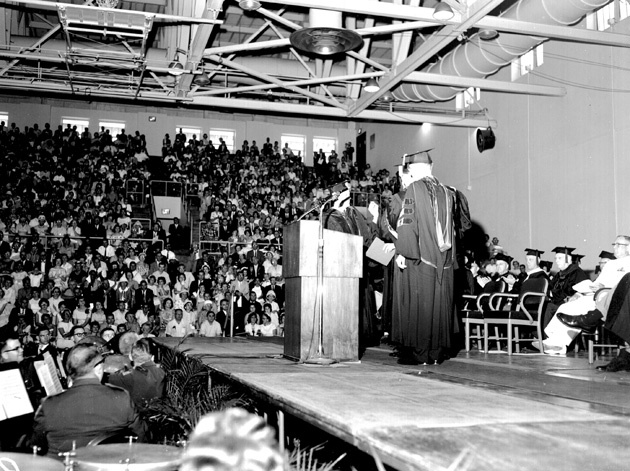 ﻿ Audience and stage in Florida Gym during University of Florida commencement and graduation ceremonies. Audience and stage in Florida Gym during University of Florida commencement and graduation ceremonies. Photograph 5623 from the University Archives Photograph Collection.